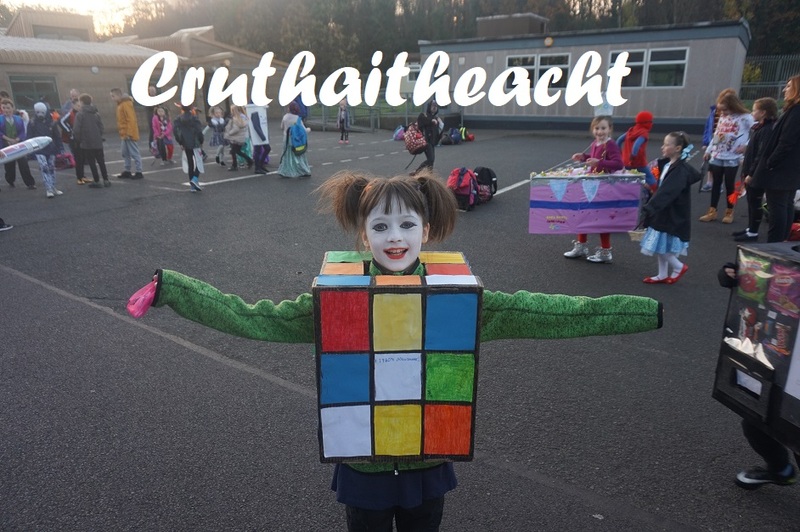 Gaelscoil Inse Chór is an Irish medium primary school that was established in 1977. 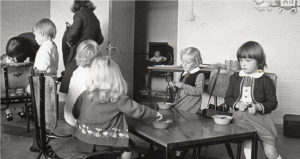 In May of 1977 a public meeting was held at which it was decided to establish an Irish medium Primary school in the Inchicore area. Those present recognised the inevitable challenges they would face but felt that such an undertaking was necessary to promote the language and provide the children of the area with the opportunity of attaining fluency in the language. 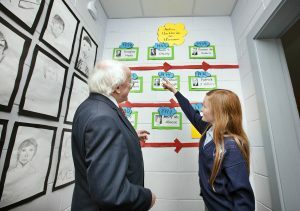 The decision coincided with a General Election which took place in June of 1977 and a promise was secured from the then Minister for Education Peadar De Barra that the school would be granted provisional recognition. 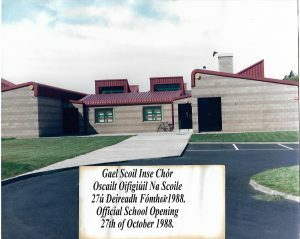 On the 5th of September 1977 Gaelscoil Inse Chór was founded with nineteen children in the Community Centre on Emmet Road. 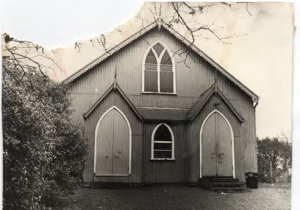 It was here they remained until September of 1979 when they moved to a hall provided by the Church of Ireland in the Parish of Saint Jude on the Inchicore Road. A meeting took place at the end of that school year with Minister for State Piaras De Uidheas T.D. requesting a site in the Memorial Gardens in Islandbridge. 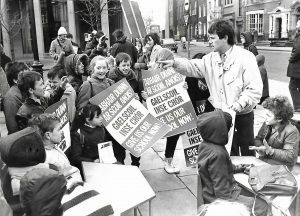 In the absence of an agreement a protest took place at the offices of the Department of Education in December 1979. Arising from this protest the school was granted full recognition. 1980 proved to be a particularly busy year. The proposed site for the school was refused. This resulted in a number of protests including a hedge school on the steps of the Office of Public Works along with a picket at the annual Fianna Fáil Commemoration in Arbor Hill. 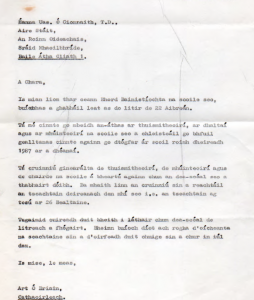 Seán Mac Liam T.D agreed to attend a meeting on the subject of a school site in May of 1980. 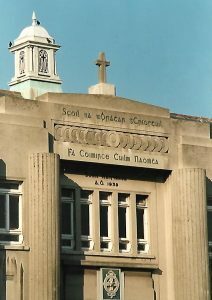 During this period of protest and agistation the school itself moved to the premises of Scoil Choilm on Armagh Road due to the poor conditions in the Parish hall. This coincided with yet another picket of the Department of Education in November of 1980. There were then a further two General Elections during this politically volatile period. 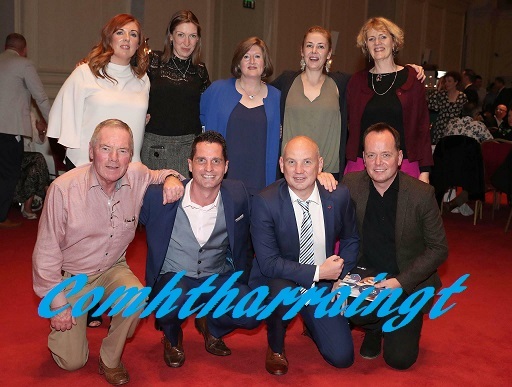 Following yet another picket on Dáil Éireann an opportunity arose when a bye-election was called for a recently vacated seat. Pádraig Ó Floinn T.D. attended a meeting on May 18th of this year. 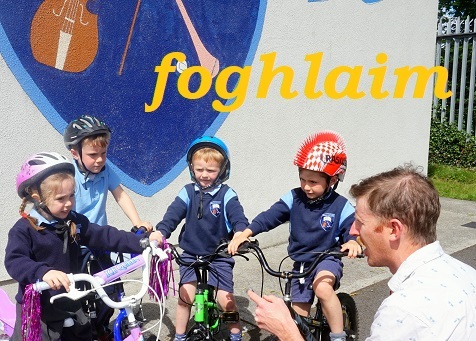 At a public meeting Pádraig Ó Floinn announced the Taoiseach Catha Mac Eochaidh’s support for the establishment of the school on the proposed site in Islandbridge. 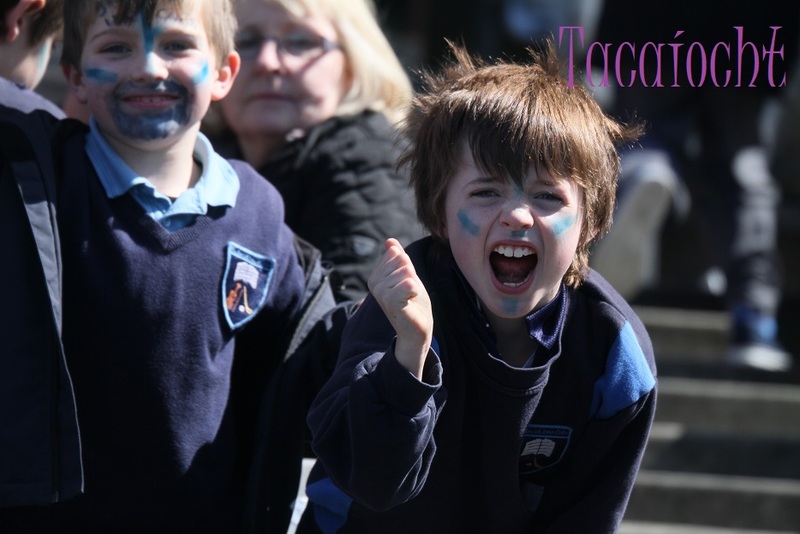 Meanwhile the students and teachers had moved yet again to Coláiste Phobail Mhic Dara in Templeogue. A survey was conducted in Islandbridge during this period. Despite assurances the survey was delayed and the site remained undeveloped, however in April of 1986, Minister for State Éanna Ó Cionnaith T.D. informed the Board of Management that the building of the school would commence in January 1987. This undertaking was provided in writing. 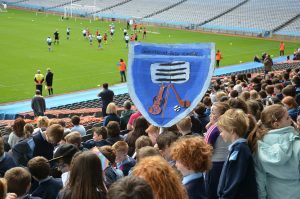 Despite this it was necessary once again for the School Principal, Con Ó Tuama to conduct lessons outside Dáil Éireann to expedite the process, an approach that received nationwide news coverage. 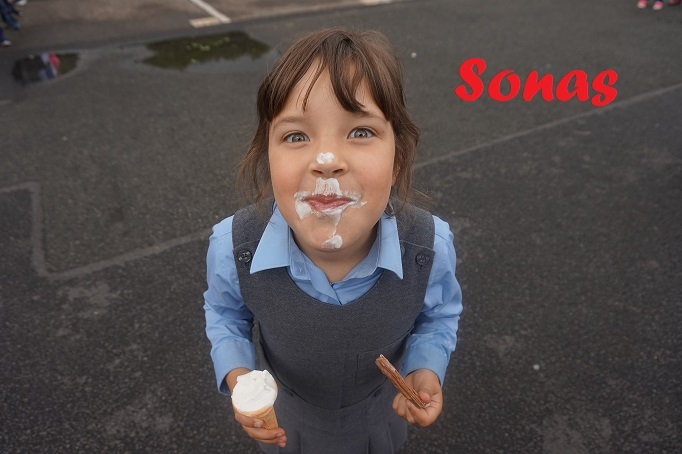 On the 1st of September 1988 children attended the newly built school in Islandbridge for the first time. The school was opened officially on October 27th 1988. It was decided that the former pupils who had never attended the school, but had campaigned tirelessly for it’s establishment would be granted the honour of officially opening the school. 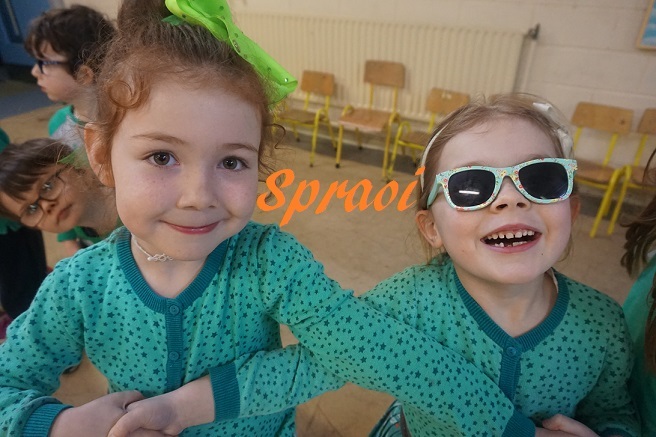 The Irish language is central to all aspects of school life in Gaelscoil Inse Chór. 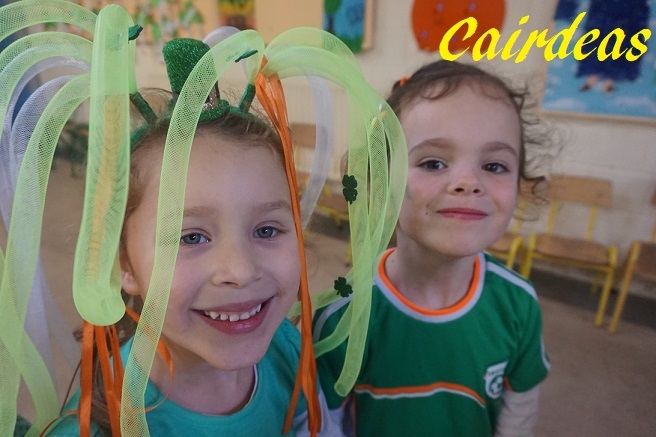 All subjects are taught through Irish and it is our aim that fluency and a love of the language is engendered in all of our students. 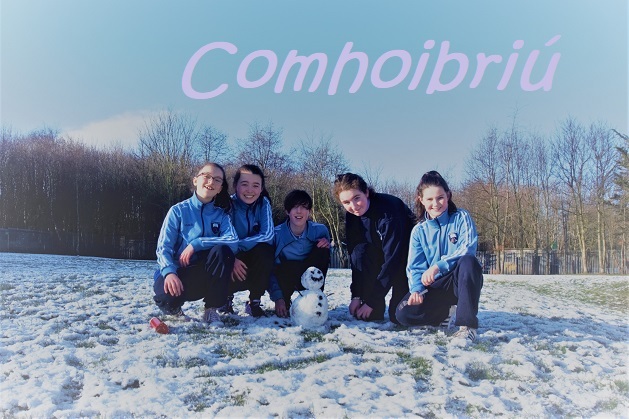 Gaelscoil Inse Chór is a school in which we place great importance on the contentedness of the children in an environment that they also find challenging. 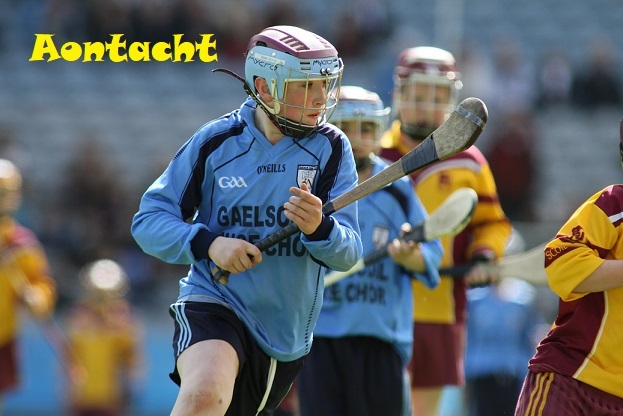 Sport is promoted in Gaelscoil Inse Chór and throughout the period the children spend in the school the children will try their hand at Hurling, Camófie, Gaelic Football, Swimming, Soccer, Rowing, Irish Dancing, Athletics and Basketball. 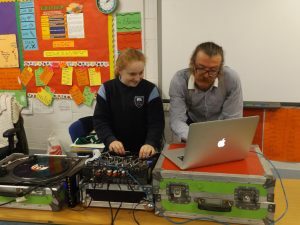 Music also plays a huge part in our school day and the children will have the opportunity to play the Tin Whistle, the Ukulele, the Guitar and the Fiddle. 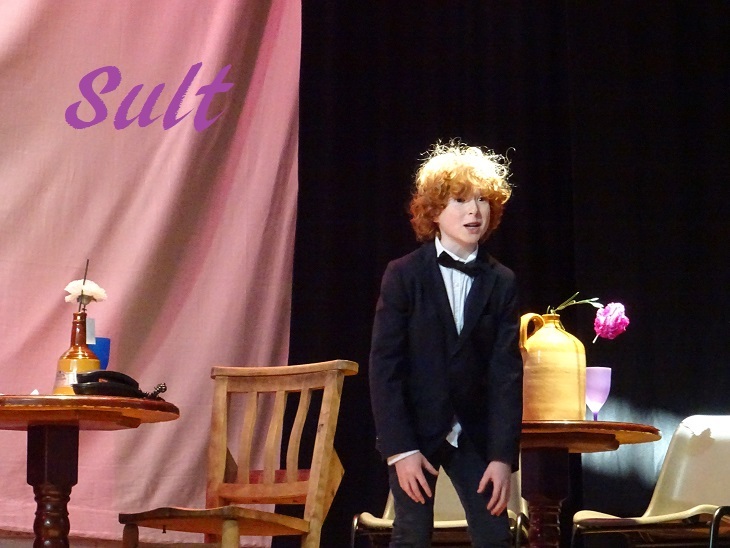 There are also after school classes that the children can avail of which include Irish Dancing, Art classes, Baking classes, Yoga classes and Chess lessons. 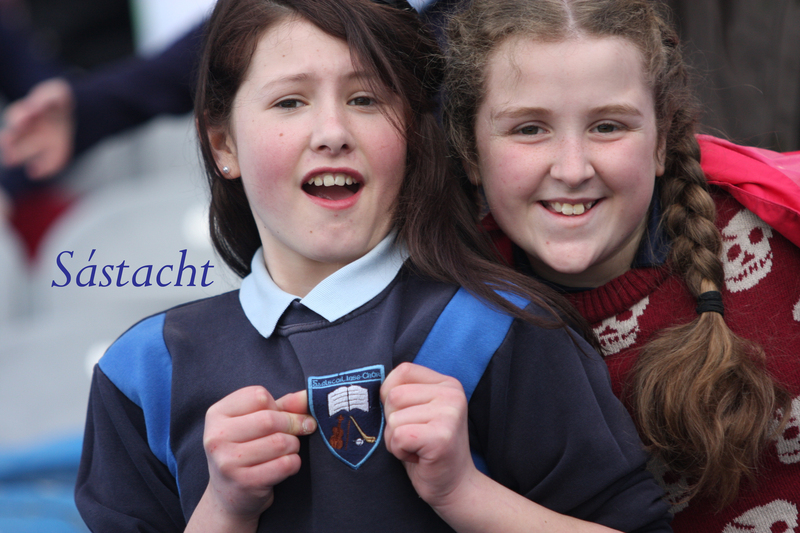 Gaelscoil Inse Chór operates under the patronage of the Catholic Church. All Sacraments and milestones are celebrated including the First Confession, the First Holy Communion and the Confirmation. 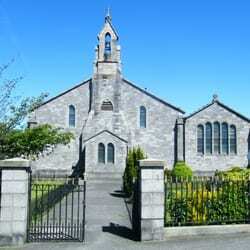 The school is supported by the St. Michael’s parish of Inchicore along with the Oblate Fathers on Tyrconnell Rd. Children receive all of their religious instruction through Irish. The values of tolerance, acceptance and understanding of other cultures are promoted within this context.